Happy Ganesh Chaturthi. This is the fifth time overall and third time in India that Ganpati has blessed us by visiting our home for a couple of days. We started celebrating Ganesh Chaturthi on the insistence of Manuraj and now he is insisting that we do it for more than two days. Let's see how long Ganpati decide to stay with us next year. Once difference this year is the decoration for Ganpati. Instead on the usual, we decided to create a background with quilling. This is one idea we have been thinking about since the last year and Mira has been working on it for a few months now. Just in the final week, it appeared that we won't be able to get it right but by the blessings of Ganpati, it has come out well. 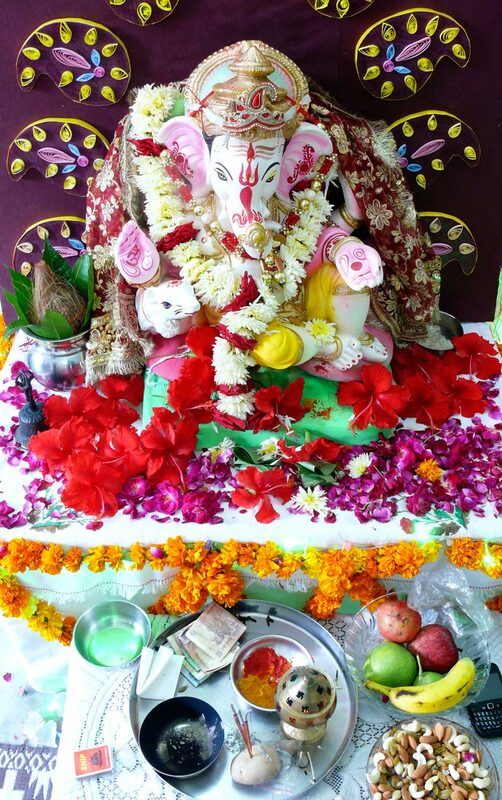 I will be posting more details of Ganpati for you in the coming days.